Stereopsis is a vision process whose geometrical foundation has been known for a long time, ever since the experiments by Wheatstone, in the 19th century. Nevertheless, its inner workings in biological organisms, as well as its emulation by computer systems, have proven elusive, and stereo vision remains a very active and challenging area of research nowadays. 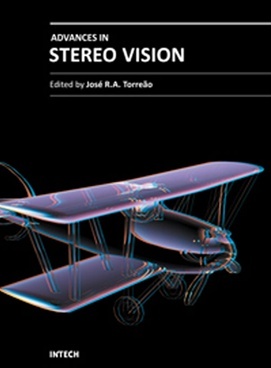 In this volume we have attempted to present a limited but relevant sample of the work being carried out in stereo vision, covering significant aspects both from the applied and from the theoretical standpoints.